The southern United States is a popular place for non-domestic automakers to make vehicles in the United States. Mercedes and Hyundai make vehicles in Alabama, Toyota makes its trucks in Texas, Kia's in Georgia, Nissan has plants in Tennessee and Mississippi, BMW has a South Carolina plant, and VW its assembly line in Tennessee. Volvo's North American arm will soon be joining them in 2018 with a new assembly line just outside of Charleston, South Carolina. The South Carolina plant is Volvo's first in North America since shutting its plant in Halifax, Nova Scotia in 1998. The new plant joins the Chinese-own Swedish automaker's existing European and China assembly plants. 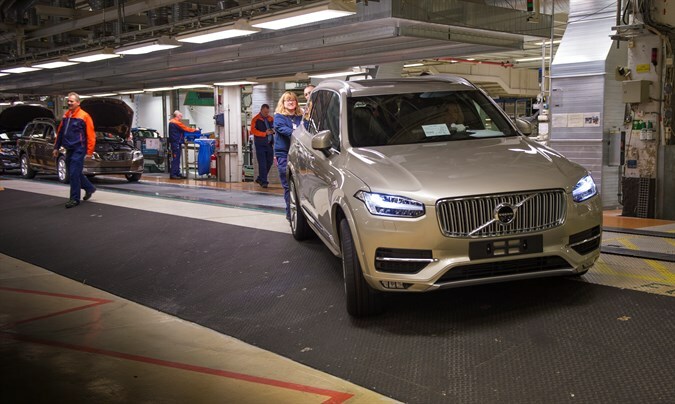 Volvo has not disclosed what models that plan to produce at the plant, but has said it will initially employ 2,000 workers with an increase to 4,000 in the long term goals. Construction on the plant will begin in the fall of 2015.